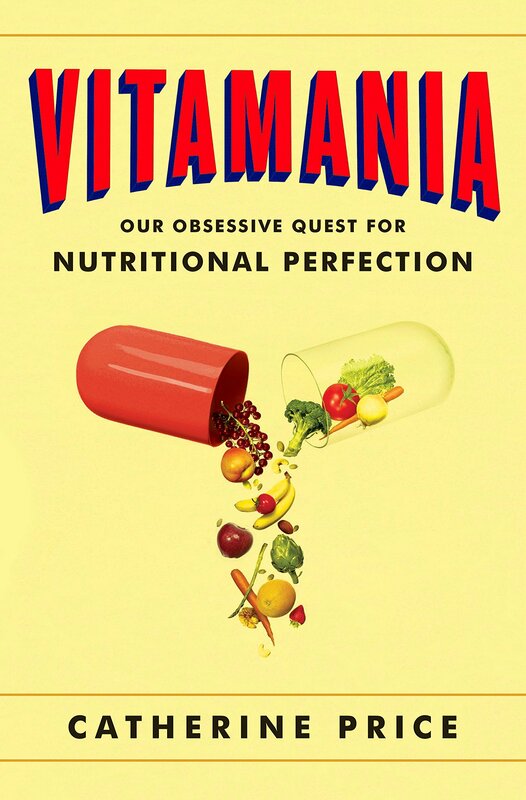 Grounded in history—but firmly oriented toward the future—Vitamania reveals the surprising story of how our embrace of vitamins led to today’s Wild West of dietary supplements and investigates the complicated psychological relationship we’ve developed with these thirteen mysterious chemicals. In so doing, Vitamania both demolishes many of our society’s most cherished myths about nutrition and challenges us to reevaluate our own beliefs. Impressively researched, counterintuitive, and engaging, Vitamania won’t just change the way you think about vitamins. It will change the way you think about food. Vitamania tells how and why vitamins have become so important to so many Americans. Rima Apple examines the claims and counterclaims of scientists, manufacturers, retailers, politicians, and consumers from the discovery of vitamins in the early twentieth century to the present. She reveals the complicated interests--scientific, professional, financial--that have propelled the vitamin industry and its would-be regulators. From early advertisements linking motherhood and vitamin D, to Linus Pauling's claims for vitamin C, to recent congressional debates about restricting vitamin products, Apple's insightful history shows the ambivalence of Americans toward the authority of science. She also documents how consumers have insisted on their right to make their own decisions about their health and their vitamins. 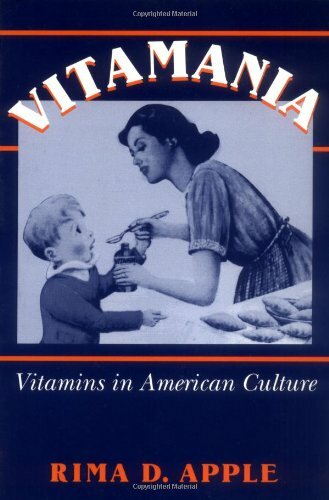 Vitamania makes fascinating reading for anyone who takes--or refuses to take--vitamins. 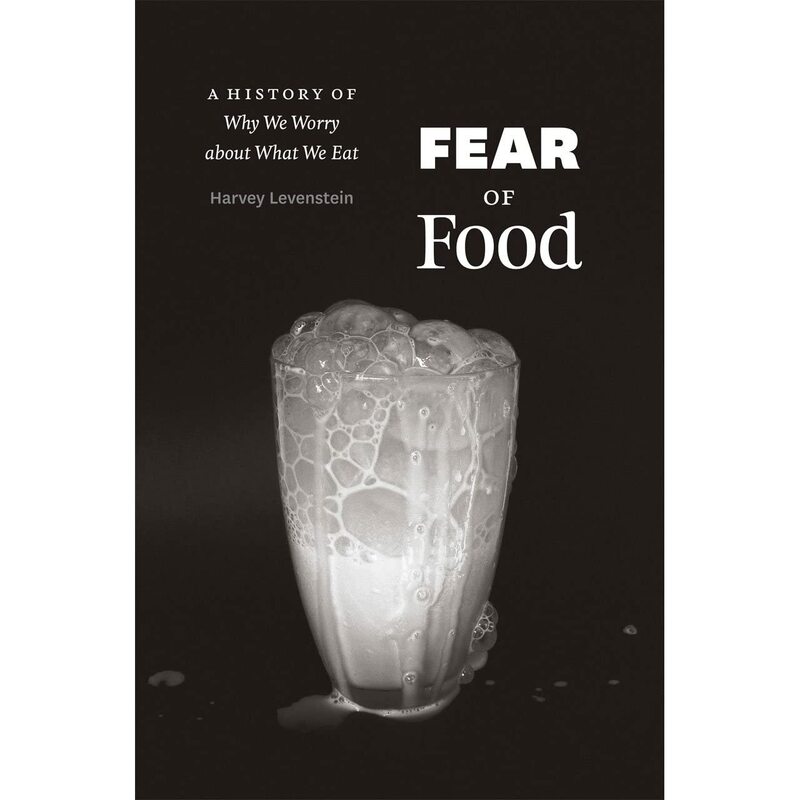 With wit, charm, accessibility, and impeccable scholarship (a powerful and unusual quartet), Harvey Levenstein chronicles the long history of Americans’ food fears, tracing their origins, exposing and debunking the self-serving hucksters who promoted them, and, finally, offering his own ‘cure’: healthy skepticism. It’s a riveting record of claims and counter-claims, greed and venality, that will keep you reading and, finally, reassessing your own diet. At the heart of today's optimistic farm-to-table food culture is a dark secret: the local food movement has failed to change how we eat. It has also offered a false promise for the future of food. Our concern over factory farms and chemically grown crops might have sparked a social movement, but chef Dan Barber reveals that even the most enlightened eating of today is ultimately detrimental to the environment and to individual health. And it doesn't involve truly delicious food. Based on ten years of surveying farming communities around the world, Barber's The Third Plate offers a radical new way of thinking about food that will heal the land and taste good, too. A vivid and profound work that takes readers into the kitchens and fields revolutionizing the way we eat, The Third Plate redefines nutrition, agriculture, and taste for the twenty-first century. The Third Plate charts a bright path forward for eaters and chefs alike, daring everyone to imagine a future for our national cuisine that is as sustainable as it is delicious. The human body is as vast consortium of sophisticated reactions, each moderated by an internal traffic cop usually called a 'coenzyme'. Thousands of coenzymes have been discovered in biochemistry; they prevent your metabolism from 'running' too slow or too fast. But man, like every species, has mutated; no longer is he able to manufacture every necessary coenzyme. Those he cannot make, he must eat . . . and so we have vitamins. Most coenzymes are abundantly available in fresh, raw, unprocessed foods and needed only in trace amounts; an example would be B-12, a teaspoon of which is a lifetime supply. Vitamins are basically an all or nothing nutrient; you either eat them or you don't. 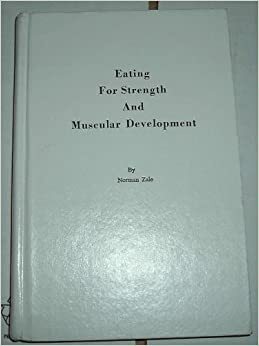 If you do have an exceptionally poor diet, however, you may not ingest any of a particular coenzyme and your weight training program remains at a standstill and you may even suffer from a deficiency disease which is more than likely to be dramatically revolting. It's true that few of you have clinical vitamin deficiencies; it's also true that most people eat a very poor diet. The flood of nutrition provided by frankfurters, french fries, processed cereals and bread, canned fruit and vegetables is lowering your efficiency and interfering with your ability to function normally. Vitamin tablets are the safest products you can add to your diet. Taken for specific reasons and in specific quantities, vitamins can add much to your life. Can you take too many vitamins? The answer is a qualified NO. You can't take too many natural vitamins, which are food, not medicines. They are what should be on your plate, but owing to modern conditions they are missing. You must therefore supplement your diet. All of the top bodybuilders and weightlifters have been doing it for years. They realize the importance of proper nutrition for strength and health. There is so much scientific proof of improvement through the use of vitamins that it would fill this whole book and then some. New information is coming out of laboratories almost daily and since there are so many scientific reports I have selected only those which I felt would be of primary interest to the weight trainer. If you desire further information concerning vitamins I urge you to purchase one or more of the many publications listed in the reference section of this book [which will be listed after the last chapter]. We classify vitamins on the basis of their solubility. Vitamins A, D, E and K in their natural forms are soluble in fats whereas vitamins of the B complex and C are soluble in water. This vitamin occurs naturally only in the animal kingdom but the largest source of all Vitamin A is the carotenes which are synthesized by plants. For instance, the pure sources of this vitamin are found in fish liver oils such as cod and shark, and organ meats such as liver. The plant carotenes are converted into vitamin A within the animal and human body only when conditions for such conversion are conducive to the utilization of the vitamin. If you suffer from liver or gall bladder problems, or you have difficulty digesting fats you are not likely to gain the full benefits from this vitamin. It is not recommended that you depend upon the plant sources of vitamin A, because these plants, such as carrots, spinach, broccoli and mustard greens are very fragile and quite susceptible to oxidation. Many men worry about taking too much vitamin A because they have heard that fat soluble vitamins have a propensity to accumulate in the liver and cause damage. This has never happened with a natural vitamin A product, only with the synthetic variety. But for those of you who are still concerned about their lack of vitamin A may we suggest that you purchase the water soluble form. This is a dry, powder form of vitamin A that comes in tablet or capsule form and is used in dosages as high as 25,000 international units. Vitamin A is one of the most commonly deficient of all the nutrients. It's vitamin A which affects the factors which stimulate mucus secretions and which maintains the integrity of the membranes which line the gastrointestinal and respiratory tracts. Vitamin A also is associated with the release of enzymes necessary for the digestion of protein and the proper functioning of the adrenal cortex. It is good sense to take vitamin E at the same time you ingest your vitamin A tablets as the E helps prevent the oxidation of A. Bad skin and poor muscle growth are two more common problems caused by a deficiency of vitamin A.
Rickets, a disease which plagued many, was produced in laboratory animals in 1919. It was found that if the lab animals were fed diets which contained cod liver oil they remained healthy. The same diet, but with the cod liver oil replaced by other types of oil, produced bone abnormalities. It was not until 1922 that scientists discovered another important factor in cod liver oil besides vitamin A. It was named vitamin D. Soon it was discovered that experimental rickets in laboratory animals could be prevented by exposure to the sun and that if the diet that produced rickets was exposed to the ultraviolet light of the sun, it could cure those who had rickets. This is because human skin and the sinks of animals contain a substance called cholesterol which is transformed into vitamin D-3 when it is exposed to the ultraviolet rays of the sun. The best known and understood function of vitamin D is to facilitate the absorption of calcium from food in the intestinal tract. The absorption of phosphorus depends upon the absorption of calcium so that any factor that exerts a favorable or unfavorable effect on one affects the other likewise. Thus by improving the absorption of calcium and phosphorus and by aiding in the maintenance of the normal blood levels of these two body builders, vitamin D makes both available in a concentration that is suitable for growth and development. What happens if you don't get enough vitamin D? Well, as a starter, your muscles lose tone and become weak and flabby, your bones soften and your teeth become especially prone to decay. The natural form of vitamin D, the type produced in your skin by sunlight or the type that comes from cod liver oil, egg yolks or liver, is called C-3 and should be the only type of vitamin D you use. Vitamin D-12 is produced in plants by irradiating plant sterols with ultra-violet light which causes a very potent type of vitamin D activity, the type which is known to be toxic when used in excessive amounts. This is the form used in the fortification of milk and a number of other foods and is used also in a very large percentage of vitamin supplements. It is fairly safe to assume that if the label of the supplement does not state that the product contains fish liver oil, the source of the vitamin D is irradiated ergosterol and is thus the D-2 form, which you should avoid. Among the conditions which have been induced by vitamin D-2 are kidney stones, heart-artery degeneration, cataracts, abnormal calcium deposits, and excessively high levels of calcium in the blood. The University of Texas (Austin) has conducted two years of research with D-2 and reached the conclusion that even small amounts of irradiated ergosterol can be highly toxic and may be one of the causes of arteriosclerosis. Again for vitamin D use only cold liver oil, egg yolk, liver or supplements that have their vitamin D-3 derived from these natural sources. The synthetic forms of vitamin D, known as D-2 are regarded by many researchers as not a vitamin, but as a steroid hormone. Irradiated ergosterol is not the natural form of the hormone, and so vitamin D-2 is, in fact, an unnatural growth-promoting steroid hormone, rather than a member of a large family of vitamins. In this respect D-2 is very similar to dianabol or diethylstilbesterol (DES), the unnatural growth-promoting hormones formerly used to fatten livestock and unwary weight trainers. The Soviet Union has a little known 'secret weapon' that gives their athletes a burst of superior power. Feeding it to their athletes, the Soviet Academy of Medical Sciences Nutrition Institute and the Central Institute of Physical Culture have discovered that it gives a healthy burst of vigor so that average athletes can extend the training capabilities. The Soviet 'secret weapon' of physical power is known to us as Vitamin E. While our government has only recently recognized it as being essential in the diet, the Soviets are far ahead of us in using this vitamin to boost the physical ability of their athletes. Here is a run-down of the little-known test that were conducted by the Soviet investigators, as reported to the Medical Tribune and hardly mentioned elsewhere. Doctors selected 34 cyclists and 37 skiers. All were between the ages of 15 and 25. The purpose was to see if Vitamin E could give them extra energy and training vigor during competitive circumstances. In brief, they wanted to learn, once and for all, if Vitamin E could turn an average athlete into a champion. The athletes were divided into two groups. One would be given Vitamin E. The other group would not. Yet both groups would be put through the same difficult training routine and both groups would be given the same high caloric diet to give them the required energy for such responsibilities. About 4200 calories a day were judged suitable for energy performance. The doctors added that even if you eat a balanced diet with whole grain foods, you still need supplemental Vitamin E in order to meet the challenge of athletic endurance. This controlled program effectively proved that Vitamin E does give an energy boost and helps athletes excel in sports. They also reported that those without Vitamin E were exhausted before the end of the training period and showed symptoms of exhaustion. The athletes receiving Vitamin E had good blood levels of this nutrient. They finished their training sessions with no oxygen deficit. These athletes did feel physically tired, but they were not depleted and could bounce back for the next training session. The group given Vitamin E received 100 to150 milligrams of Vitamin E if they had a training period of of 1.5 to 2 hours. They received boosted intakes of Vitamin E of 250 to 300 milligrams if they had a training period of 3 to 4 hours, since the longer an athlete has to train, the greater his need for Vitamin E.
The other group received no supplemental Vitamin E, but it is assumed that they ingested about 20 milligrams through their regular diets. The doctors reported that Vitamin E is helpful for everyone but particularly for athletes in training and performance. The reason is that when your body is subjected to increased physical activity, the metabolic system uses up Vitamin E much more rapidly than under normal circumstances. Basically, Vitamin E has superior powers in performing a unique anti-oxidant reaction in the system. It makes more oxygen available to the cells and tissues of the body. This oxygen then promotes more energy, giving a more superior burst of strength. This is the key to the power of Vitamin E.
Every weight trainer knows how valuable oxygen is to give him strength and vigor. Whether doing squats, cleans, deadlifts, bench presses, curls, situps, jogging or swimming, the body needs more oxygen. The more oxygen available, the more the body can respond. Vitamin E has this anti-oxidant effect giving the body better use of more oxygen. "Vitamin E and especially its most active component, alpha tocopherol, has a widespread activity taking part in a great number of biological processes. Its participation in enzymatic processes influences the activity and metabolism of the muscles, and therefore, it is very valuable to those engaged in athletic pursuits." Weightlifters and powerlifters have often yearned for the 'strength of a horse'. Tests were conducted at Winfields Farm in Toronto and the National Stud Farm in Oshawa, Canada. Supervised by several doctors over a period of two years, the results indicated that all of you horses out there can also benefit from the use of Vitamin E. Horses given Vitamin E to boost their strength were able to give a much better exhibition of themselves by increasing their strength in jumping competition and by winning 66 percent or more of their contests during their first year of Vitamin E supplementation. Under supervision, the horses received from 800 to 2000 units of Vitamin E daily. They exhibited increasing bursts of vigor. Many of these horses became champions, this believed to be in part due to the impetus of the 2000 units daily of Vitamin E. In another situation, horses received 5000 units daily with equally amazing improvement in their performance. Vitamin E helps give you more mileage for your oxygen. As for the horses, the doctors describe it "as if one strapped an aqualung on the horses' backs. It opens up huge reserves of capillary circulation, sets of vessels not ordinarily used, but waiting for emergency demands. It helps to control the passage of fluids through the walls of blood vessels. It may even be a direct stimulant to muscle power. It improves the metabolism of carbohydrates, fats and proteins. These are just a few of its unique and helpful properties." Build storage-reserve depots of Vitamin E in your body and it can be used to make your workouts more productive by increasing your endurance. When you have a reserve of Vitamin E in your body, your muscles can draw upon it to give your body the needed extra burst of endurance to turn an ordinary workout into a championship caliber one. The question now remains: From where should you get Vitamin E and how much should be taken? There are many component parts that make up the vitamin which we call Vitamin E. They have been given the names alpha, beta, gamma, etc. (However, scientists have pinpointed the alpha factor or alpha tocopherol as being the most biologically potent compound in the tocopherol family.) The other tocopherols, if they have a function on the human body, remain a mystery. This is why, when you buy Vitamin E, it is available in several forms; mixed tocopherol containing the complete spectrum of Vitamin E; alpha tocopherol, which contains only the active proportion of the vitamin, and the synthetic form which contains only alpha tocopherol. The richest natural sources of Vitamin E are wheat germ and wheat germ oil, and as in all vitamins, taking them in their natural form is probably the best. The Shute brothers believe that only the alpha tocopherol should be taken in the treatment of various circulatory problems they discuss in their book, Your Heart and Vitamin E. Some nutritionists agree with the Shutes, others do not, believing that the mixed tocopherols are best; using the premise that as in the case of Vitamin B and C, one should not break up the family in which the nutrient belongs. One thing that all of the nutritionists agree on, however, is not taking the synthetic form of the vitamin. Unless the label on the bottle says that the Vitamin E contained is from natural sources, don't take it. In their tests, the Soviets administered 50 units of Vitamin E for each half hour that their athletes practiced their sport or engaged in physical activity. This should be a good place for you to start, but try to take in at least 200 units of Vitamin E a day even if you don't train for two hours every day. This is the amount that nutritionists feel is necessary, though I have heard of many physique contestants taking as much as 1000 or 2000 units per day. There is no toxic level known for Vitamin E so don't be afraid to take more than the recommended 200 units. Also bear in mind that like Vitamins A and D, Vitamin E is a fat soluble vitamin and should be taken with some food that contains rat, er, that should read fat. Many men take their Vitamin E and wheat germ oil immediately after their workout as they seem to find this most effective. Another suggestion is to take it with Vitamin A, as E helps prevent the destruction of A in the body. Those men who are on all-meat definition diets need extra reserves of Vitamin E. Since the meat contains so much fat, the body's need for Vitamin E is increased, and if it isn't taken, these men will be deficient. Looking at the other side of the coin, there are some men who have difficulty in handling Vitamin E because it usually comes encased in capsules containing oil. These men can buy chewable Vitamin E tablets which eliminates the oil factor. These tablets could be the answer for them. Was discovered following the observation that certain diets produced fatal hemorrhages in laboratory animals. The symptoms looked like scurvy, the Vitamin C deficiency disease, but they did not respond to the administration of Vitamin C. Feeding alfalfa or other green leaves to the sick animals brought about a dramatic relief from symptoms. Many green leaves were studied and those of the alfalfa plant proved to be exceptionally rich in the new factor. A Danish investigator isolated a fat-soluble substance from alfalfa leaves and because it corrected the clotting or coagulation time of the blood, he called it the Koagulation Vitamin. This was shortened to Vitamin K for convenience. Vitamin K is essential for normal functioning of the liver an for the formation of prothrombin by the liver. Prothrombin is one of several components that react together to form a blood clot. Capillaries become fragile and break down when the body is short of Vitamin K due to the hemorrhages that accompany a shortage of prothrombin. Vitamin K shortages are quite common among individuals with bizarre eating habits such as are quite common among today's teenagers. You are born without any reserves of Vitamin K but microorganisms in the intestinal tract make the vitamin. The acidophilus bacillus, which we mentioned in the chapter on digestive supports, synthesizes the vitamin, though many men use alfalfa tablets routinely, not realizing that their bodies are not capable of extracting the Vitamin K from the alfalfa because the human digestive system is not equipped with the proper type of enzymes to break down the tough, fibrous walls of the alfalfa. In addition to that available through bacterial synthesis in the intestines, Vitamin K is obtained from green leafy vegetables, tomatoes, egg yolk, soybean oil and liver. The only time it may be necessary for you to take a Vitamin K supplement is when you are ill with some type of digestive disturbance such as colitis, diarrhea, jaundice or a disease which necessitates the taking of antibiotic drugs which destroy the intestinal flora. The members of the B family of vitamins are grouped together because they have several qualities in common. First, they are water soluble and have the problem of being washed away in both normal cooking and especially in the preparation of convenience foods. Another problem with the B vitamins is the relatively poor storage of water soluble vitamins in the body. A third problem leading to B deficiencies is the tissue depletion such as arises out of special situations such as strain, stress, trauma and fast growing periods. The B's are also very heat liable, that is, they are destroyed not only by the obvious heat involved in cooking, but processing, refining and storage also take their toll. Many men suffer from B deficiencies even though they are ingesting more than the ordinary recommended daily dietary allowance. This is due to the individual's metabolic make-up and inability to absorb B vitamins adequately from the digestive tract. The National Research Council states in one of their footnotes that RDA are for "healthy people in a temperate climate with a medium work load and food of substantially average quality." This sort of limitation just about rules out everyone who lifts weights or doesn't live a few miles north or south of the tropic of cancer or the tropic of capricorn! Actually, the main reason that most people suffer from B complex deficiencies is not that 'somebody out there is devitalizing my food' (they are of course), but because they are not taking the responsibility to eat well-planned meals and supplement their diets when appropriate. In other words, diets are poor due to the fault of the person eating. Dietary deficiencies are basically the result of irresponsibility, carelessness and laziness. The B vitamins are quite plentiful in nature but you must avail yourself of the foods that contain them and use them daily. Let's have a look at the best understood B vitamins. Thiamine (B-1) protects the heart and is indispensable for the health of the nervous system. Thiamine is needed for effective digestion of carbohydrates, natural carbohydrate foods are always accompanied by thiamine, but when you eat refined carbohydrates, such as white sugar and white bread, your body must use its own storage supplies of thiamine to digest the carbohydrates properly. This may eventually lead to a thiamine deficiency. Lack of thiamine leads to insomnia, digestive disorders, lack of appetite, loss of weight and muscle weakness. Riboflavin (B-2) protects the health of your skin, nails, hair and eyes. Some of the most common symptoms of a B-2 deficiency include cracks on the lips, premature wrinkles and split fingernails. Niacin or Niacinamide or Nicotinic Acid (B-3). Best known as the anti-pellagra vitamin. Niacin, though not the other two forms of B-3, dilates small capillaries. Many weight men take up to 100 mg. before a workout because they say that they get a better muscle stimulation. The face and neck, and sometimes other bodyparts turn beet-red with the niacin flush which is sometimes accompanied by itching and tingling of the skin. It s a very uncomfortable feeling and it is not recommended as a regular part of your training since such high doses may be difficult, for people with certain abnormalities, to handle. Pyridoxine (B-6) is involved in protein metabolism and in the production of antibodies. It helps to maintain tissue integrity and lecithin cannot be synthesized when B-6 is deficient. A doctor who was treating patients with B-6 for various conditions found to his amazement that many of the patients reported losing weight and inches without cutting calories. While taking 50 mg. of B-6 daily, it was found that this vitamin sets up some type of body balance between the minerals potassium and sodium which regulate the body's use of fluids. When the mineral potassium was added to the B-6, the combination helped reverse bursitis. Since B-6 is required for the utilization of protein foods and most weight trainers are eating high protein diets, it would be expedient to supplement your diet with at least 100 mg. of B-6 daily. When using separate or isolated B vitamins, remember also to use the entire B complex so that you maintain some sort of balance; he entire B spectrum is required for strength and health, the fractions are only for special purposes. Biotin (Vitamin H) is also involved in the metabolism of protein and fat. A shortage of biotin causes fatigue and hair loss. Biotin is another one of those vitamis that is synthesized by bacteria in the digestive tract. The daily requirement is as high as 300 mg. though there is no ways of knowing how much is produced in a person's intestines. Pantothenic acid is one of the most versatile B vitamins and is involved in almost all vital body processes. It increases cortisone production, protects against stress, and speeds recovery from fatigue. In animal tests with pantothenic acid, raw egg white, as an allergen, was injected into animals that were made deficient in pantothenic acid - the animal died of shock. Litter mates that were plentifully supplied with pantothenic acid suffered no adverse effects from the raw egg whites. The daily requirement is approximately 10 mg. but healthy male volunteers were were given 500 times this amount daily for six weeks prior to stress tests. They were then immersed in very cold water for eight minutes. Their stress lasted only eight minutes. but those who were given pantothenic poor diets suffered destruction of protein, loss of salt, loss of blood sugar, and a rise in cholesterol while the group on the pantothenic rich diet suffered none of these problems and there were no toxic effects from taking such large dosages of this vitamin. It looks like the sky is the limit with pantothenic acid and all weight men should take special care to get a sufficient quantity since they work under stressful conditions. Choline and Inositol must be included in the diet. They, along with the amino acid methionine, are sometimes knows as lipotropics because they are necessary for the formation of body fats known as phospholipids, the most popular of which is lecithin. They are involved in fat metabolism and promote normal distribution of fat throughout the body. Many bodybuilders, in preparation for physique contests take anywhere from 1000 to 5000 mg. of each of these two vitamins daily in the belief that it eliminates unwanted fat and brings out definition It is doubtful if this is effective unless a strict diet is adhered to, which most of the top men follow anyway. There is no toxic level for these vitamins. Vitamin B-12, like many other members of the B complex, is not a single substance, but consists of several related compounds. B-12 is the antipernicous anemia factor which is formed within your intestine as a result of eating animal products. Strict vegetarians are woefully short of this vitamin and should supplement their diets so as to avoid any possibility of a physical breakdown. The best sources are liver and kidney. Though the RDA is only 8 to 15 micrograms daily, it is not at all unusual for weight trainers to get a weekly injection of 100 to 1000 micrograms because B-12 also has a cell building function and many men start gaining again after five or six injections. It may be that the body was not producing enough B-12 or that the diet was short of this growth producing factor. No one seems to have the answer. Pangamate or Pangamic acid (B-15). There are three groups of biological activities that have been established for this new member of the B family. It stimulates the adrenal gland and the central nervous system and also decreases the blood cholesterol level as it works to prevent fatty degeneration of the liver. It stimulates metabolism by increasing the amount of oxygen made available for the cells. Last, but not least, it detoxifies the system by neutralizing and excreting poisons and helping to repair damage caused by prolonged use of drugs. How would you like to never be sore again after a hard workout? Even though you have not exercised for months, how would you like to take a good hard workout and not feel the slightest bit sore or tender the next day? "Not possible," you say. No one really knows what causes muscle soreness, but all the researchers seem to agree that it has something to do with either a buildup of toxins in the muscle after unaccustomed exercise or a slight tearing or breaking of tissue under stress. Vitamin C helps in both of these areas. Try taking 1000 mg of Vitamin C immediately before and another 1000 mg of Vitamin C right after your next rough training session, and look for the results the next day. No soreness, no painful muscles, no grunt and groan with every movement, all accomplished merely by popping a couple of little capsules in your mouth. The most important function of Vitamin C is keeping the collagen -- the intercellular cement -- in a healthy condition. Collagen is the substance which keeps all of your tissues together. A deficiency of Vitamin C causes the deterioration of the collagen and consequently the breakdown of tensile strength of all connective tissues, including the muscles. Vitamin C helps to build and maintain bones and blood and is essential for the proper functioning of the adrenal glands and assists in the oxygenation of the cells. It is known as an anti-stress vitamin because it helps you to snap back after fatiguing activities. The cholesterol level of the blood is also affected by adequate intake of Vitamin C. In conjunction with the bioflavonoids, Vitamin C corrects capillary fragility and permeability. Smoking destroys Vitamin C at such an alarming rate that some scientists speak of smokers living in an eternal state of subclinical scurvy. Exposure to cold weather also increases your need for Vitamin C.
There are a number of ways of determining if you are not getting sufficient Vitamin C. Bleeding gums during brushing of the teeth indicates that you may be short of Vitamin C. Weakness, irritability, unaccounted-for weight loss and vague aches and pains accompanied by easy bruising of tissues or black and blue marks are sure signs that you are deficient in this super vitamin. The best natural sources of Vitamin C are fresh, raw fruits and vegetables, such as citrus fruit and their white inner pulp, apples, green peppers, broccoli and turnip greens. The best source of all is rose hips, which are the fruit of the rose,and acerola berries, which are 20 to 40 times as rich in Vitamin C as oranges. Natural Vitamin C has greater biological value than ascorbic acid, which is the drug store variety of Vitamin C, because it is made from natural sources, which contain other C complex factors such as the bioflavonoids. 5000 mg per day is not unusual for a hard training athlete; this is due to the fact that it cannot be stored and is excreted shortly after taken, so it must be replaced daily. How did we get to be so dependent upon Vitamin C? Blame mother nature. About 60 million years ago, a mutation occurred in the human gene which made it impossible for man, like lower primates, to synthesize vitamin C in his own body, like we some of the B vitamins. This means that unless sufficient vitamin C is eaten every day, preferably several times a day, a degenerative disease called scurvy develops. One researcher believes that scurvy has killed more people since the beginning of time than all other causes combined including wars and bubonic plague! Speaking philosophically, the science of good nutrition has fallen prey to the same communications gap as have so many of life's other areas. By labeling things, we actually restrict our understanding or at least limit it. I'm not against labels or names. They aid us in identifying things, but they also confine truth to the limits of the label. For instance, vitamin P, by any other name, will still do its terrific job, but how will we know it by any other name? It has several: vitamin U, rutin, hesperin, citrin, flavonoids, and the bioflavonoids. Trying to find out who called it what first is like trying to find out who did the first 500-lb bench press. For most common reference, the bioflavonoids have been used to supplant the other labels. The bioflavonoids are substances that appear in many fresh foods along with vitamin C. They could be called the sentinels of our capillaries. The capillary is the smallest blood vessel in the body and can be seen only by a microscope. Most are so small that only one blood corpuscle can pass through them at a time. These capillaries connect the smallest arteries with the smallest vein. This is what comprises the entire network of blood vessels throughout your body. Food which is carried in the blood stream passes through their walls by a process known as osmosis. The nutrients are then received by the tissues and waste materials from the tissues passes through the capillary into the blood stream. The bioflavonoids, more than vitamin C, have been found to maintain the integrity of capillaries through which nutrients and waste products pass. The bioflavonoids are, therefore, responsible for maintaining the strength of the capillaries. Like vitamin C, bioflavonoids are not stored in the body. They are excreted in the urine if an excess amount is taken. During times of stress, like when exercising hard and regularly, your body needs many more times the amount of these substances than it normally gets from the average diet. Though there is no recommended daily amount for bioflavonoids, many men supplement their diets with 1000 mg a day in addition to the amount they get from their diets. Vitamin B-15 is a vitamin that you have probably never heard of, yet it possesses curative and protective functions similar to vitamin E. The most important functions of vitamin B-15 are to increase the supply of available oxygen in the blood, to detoxify poisons and to make lecithin. It may also be involved in slowing the aging process. The capability of vitamin B-15 to cure or help many forms of heart disease and senility, and to reduce the aging rate, prompted a famous Russian researcher, Dr. Ya Yu Shpirt to remark, "I believe the time will come when there will be calcium pangamate (vitamin B-15) on the table of every family." Athletes, especially athletes once thought to be past their prime, have benefited greatly from pangamate. It is obvious that since pangamate increases the supply of available oxygen, athletes will have greater 'wind' and more reserve. Other advantages of pangamate to the person engaged in athletic activities include "improved energy, less fatigue, increased muscle size and faster healing of injuries," says the Russian. In 1957, Dr. N. N. Yakovlev of Leningrad showed that pangamate had a positive effect of metabolism during extensive physical exercise accompanied by a decrease in oxygen saturation and oxygen debt. In 1962, Dr. Leshkevich demonstrated that pangamate had additional positive effects during less strenuous, but prolonged physical exercise, in that utilization of fats as an energy source markedly increased. Dr. Yakovlev and Dr. Leshkevich reported in 1964 that the earliest manifestation of the effect of pangamate was a decrease in the formation of lactic acid in the muscles and an increase in fat metabolism, which was even noted after a single administration of 5 mg of the vitamin. Less expenditure of muscle glycogen was also noted. It was noted that pangamate has a greater effect in exercises of short manifestation when a considerable oxygen deficiency and disturbances in the energy balance occurs. The positive effect of pangamate was more strongly pronounced when given daily for at least three days, and the positive effect was preserved for four days after the last dose. Dr. Yu L. Karpuchina, also of Leningrad, worked with 67 highly training championship athletes. His results also showed that pangamate had a beneficial effect during muscular activity. This effect maintains normal blood sugar levels and increases the intensity of the process of aerobic oxidation (supplies oxygen better). The beneficial effect becomes progressively more significant as the work performed becomes more, and the less the oxygen demand is satisfied. Dr. Karpuchina concluded, "Objective data of biochemical examinations have shown that the administration of pangamate creates more favorable conditions in athletes for performance of hard exercises and enhances the biochemical restitution during rest periods. The effect observed was the result of the action of pangamate; it could not be interpreted as a conviction of the athletes that they had been given a substance facilitating performance. When the equivalent amount of glucose was substituted for pangamate, no effect on the biochemical changes in the blood during muscular activity was observed, although the athletes assumed that they had been given the pangamate." V. A. Alckseev demonstrated that pangamate improved protein utilization. Russian trainers now recommend pangamate with protein to speed muscle development and healing. Each athlete must be evaluated as a unique individual, but most of the weight trainees that I have worked with are unaware of the existence of pangamate and have little in their diets, and so respond to vitamin B-15 supplements. The best natural food source of pangamate are sunflower seeds, pumpkin seeds, yeast, liver, rice bran and polish, whole grain cereals and apricot kernels. Pangamate, also known as pangamic acid, calcium pangamate or vitamin B-15, is available as a dietary food supplement. The Pharmacological Committee of the Ministry of Health of the U.S.S.R. suggests the use of 100 to 300 milligrams of pangamate daily.